Editor’s Note: In this, Part I of a two-part series on a sampling of architect, Antoni Gaudi’s best known creations, architecture critic, Mark Favermann takes the reader on a virtual tour of Barcelona’s elaborate cathedral, La Sagrada Familia. We also visit two Gaudi-designed resident properties, Casa Batllo and the apartment building Casa Mila, also known as La Pedrera (The Quarry), gracing the wide boulevards of this Catalonian city on the Mediterranean. For Part II, appearing in ARTES in the near future, the municipal gardens of Park Guell will be highlighted. Gaudi’s vision and eccentricities, examined by the author, are an essential part of our understanding of the man and his design sensibility. He was truly a one-off. 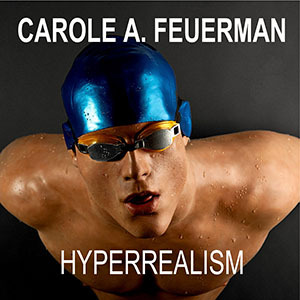 Even his teachers in architecture school found him challenging to the point of disconcerting. Even in his youth he preferred to do things his own way. In fact, it took him a long six years to actually complete his architectural training. And he continued to do things his own seemingly eccentric way until the end of his life. Gaudi’s work was informed by an almost obsessive Catholic mysticism, a love of natural forms, acute sensitivity to ecology and an extremely personal sense of design. Though often classified as a member of the Modernisme style, a Catalan version of Art Nouveau, Gaudi had a uniquely eccentric architectural and design vision. For the last 43 years of this life, Gaudi worked incessantly on his own personal cathedral, La Sagrada Familia in Barcelona. It has become one of the most famous structures in the world. 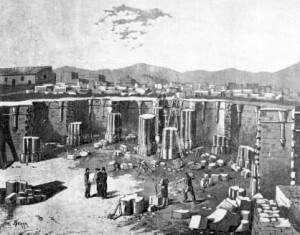 Cathedral construction was begun in 1882. It was the personal project of a pious, wealthy bookseller named Josep Maria Bocabella. After a trip to Italy, he felt that Barcelona needed a cathedral dedicated to The Holy Family. It was to be financed by donations. He purchased a plot of land in a new neighborhood that had been designed by town planner, Ildefons Cerda. Initially a diocesan architect, Francesc de Paula Villar was put in charge of the project. He designed a neo-Gothic structure. About a year later, soon after the crypt columns were erected, Villar resigned. Antoni Gaudi, then a promising young architect, just five years out of architecture school, was hired to design the project. With deference to Gothic cathedrals, he entirely redesigned the project. 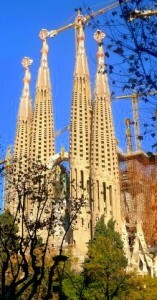 La Sagrada Familia is a cathedral that looks like no other. It s unique design reflects Gaudi’s vision and mysticism, together with his gifts of design and use of materials. Respecting the orientation of the structure and the Villar’s crypt, Gaudi envisioned a much more ambitious and grand cathedral than was initially conceived. It was to have five naves, three facades, 18 towers, an exterior ambulatory as a cloister, and other complicated structural elements. Of course, Gaudi would have not been Gaudi without a vast number of symbols integrated into the cathedral structure both literally and conceptually. Gaudi spent ten years working on studies for La Sagrada Familia. He developed a creative new method for calculating structural stress. 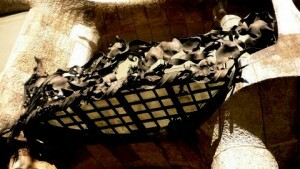 It was based on an innovative model built with cords and small bags of lead shot to reflect the cathedral’s structure. 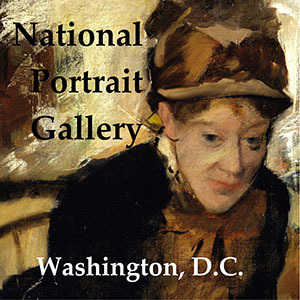 A 1:10 outline of the building was drawn on a wood board. This was then hung on the ceiling in a house adjacent to the construction site. Various cords were hung in tension where columns were to be set. The lead pellet sacks were hung from each arch formed by the cords. The arches created were catenary arches. The catenary is the ideal curve for an arch supporting only its own weight. This arch tolerates almost pure compression with no significant bending moment inside the material. The architect then photographed the model from various angles. When the photos were turned upside down, the lines of tension formed by the cords and weights showed the lines of pressure of the compressed structure. Therefore, gravity revealed the structure. This method of analysis allowed Gaudi to create the many natural forms in his work. This process predated computers and mechanical calculators by decades and demonstrated the master designer’s innovative and inspired thinking. Only the crypt, apse, cloister, the Nativity facade, and four towers had been completed at the time of Gaudi’s death in 1926. Work on the cathedral continued for the next decade led by Domenech Sugranyes. The Spanish Civil War interrupted the process in 1936 and, unfortunately, most of Gaudi’s models, drawings and workshop were destroyed by Catalan anarchists. With many interruptions, work was carried on by architects Francesc Quintara, Isidre Puig Boada, Lluis Bonet i Gari Francesc Cardona. WWII and financial delays made progress halting until 1954. Computer based-design, CAD, was introduced in the 1980’s by Lluis Bonet’s son Jordi Bonet i Armengol. 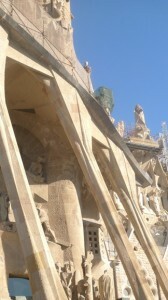 The stylized sculptures that decorate the facade are by J. Busquets, Etsuro Sotoo and Josep Subriachs. Due to the fact that a lot of preliminary as well as early drawings and models no longer exist, Gaudi’s vision is somewhat open to interpretation. In addition, the major material that Gaudi preferred was the use of irregularly shaped stones. This sets up another challenge to contemporary architects’ interpretive abilities. The cathedral is still under construction with cranes, scaffolding, fences, barricades and construction tarps in view. There is some controversy involved in the most recent and more contemporary construction methods and materials now being used. Many visitors immediately see a difference. And many scholars and architects feel that Gaudi would not have employed these ways of working. A cursory view of the structure shows that the original elements of La Sagrada Familia are in clear contrast to later additions, especially in the stone coloration to newer elements between the front and back of the structure. The styles of the elements are different as well. 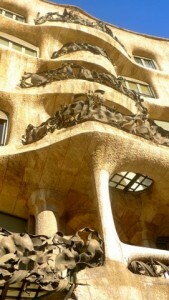 It is quite noticeable what is Gaudi’s work and what is not. Like many artists, Gaudi was obsessive about details, dictating terms on the finest points of construction of La Sagrada Familia. If he was not pleased, he often would have parts of the project torn down and rebuilt, modified, or adjusted to better reflect his vision and design until it was exactly right to him. Another of Gaudi’s eccentricities was that he gave little thought to his attire or grooming. Because of economic conditions in Barcelona, work faltered on his cathedral project. The architect refused to speak to the press or to have his photograph taken. A bit ghoulishly, his last residence was in the crypt of the cathedral. 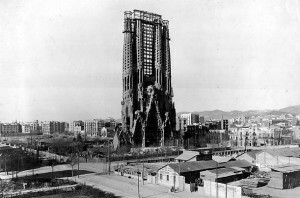 While not paying attention to traffic as he walked from La Sagrada Familia on June 7, 1926, Gaudi was run over by a tram. Due to his unkempt and poor appearance, taxi drivers refused to pick him up and bring him for appropriate medical help. Eventually, he was taken to a paupers’ hospital in Barcelona, where he died three days later. He was 73 years old. His funeral was one of the largest ever held in Barcelona. Referred to by some as God’s Architect, he was buried withn the very walls of his religious masterwork. The future completed cathedral, as envisioned in artist’s redering, ca. 1930. The hope is that La Sagrada Familia-an expiatory church, meaning it is being built by donations, alone- will be completed by 2026, on the 100th anniversary of Antoni Gaudi’s death. But, since the Dark Ages, cathedrals have traditionally taken longer to build than often planned. 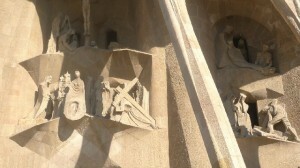 The stops and starts, as well as uneven private funding of La Sagrada Familia have added to an unclear construction schedule. Another controversial issue has risen lately as well: a high speed rail tunnel is planned near the cathedral. There is fear that this tunnel will do harm to the church’s foundation and structure. 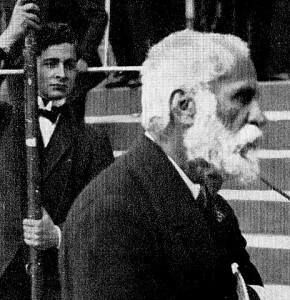 Throughout his life, Antoni Gaudi focused on little else other than his deep Catholic faith and his architectural and design work. He never took time to write, travel, and lecture or to even have a social life. He never married. His only friends were collaborators on his projects. With few exceptions, the majority of his works are in and around Barcelona. Two residential projects in particular illustrate the mastery of Gaudi’s unique sensibility, the family mansion of Casa Batllo and the apartment building Casa Mila also known as La Pedrera. Located in central city Barcelona a few blocks from each other, both buildings are now partially or wholly museums and are each a UNESCO World Heritage Site. The Casa Batllo, the former family home of the wealthy Batllo family, had been rather conventionally built in 1875 on the most chic Barcelona boulevard favored by the upper class, Passeig de Gracia, in the heart of the city. Next door to the home was another more impressively ornamental residence, Casa Amatller, which was spectacularly designed by Puig i Cadafatch, another prominent and fashionable Moderniste architect. 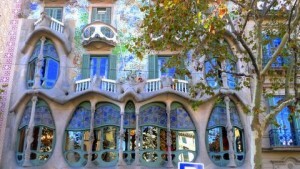 Senor Batllo did not want to be overshadowed, so he commissioned Gaudi in 1904 to creatively enhance his house. Thus, Batllo was involved in an early 20th Century game of one-upmanship. 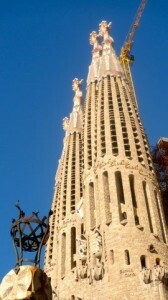 The resulting 1906 edifice is an example of Gaudi at the height of his creative powers. 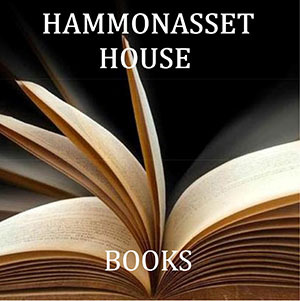 It is a most complete project of his personal, unique vision, both on the inside and outside. Gaudi was assisted by Josep Maria Jujol. The local name for the building is Casa dels Ossos or House of Bones. 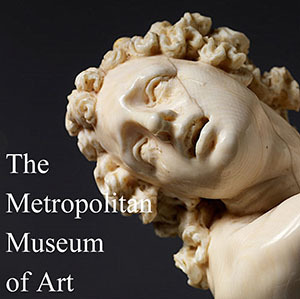 There is a visceral—even skeletal—organic quality to the structure. 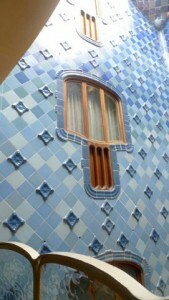 Like other Gaudi projects, it is only broadly identifiable as a Moderniste or Catalan Art Nouveau style because of Gaudi’s unique approach. The facade was made from sandstone that had thin carved columns in plant motifs. The ground floor has unique tracery (stonework around the windows), irregular oval windows, and skeletal, flowing sculpted stonework. There are few if any straight lines. There is a compositional joy in the building, an architectural acknowledgement of the pleasure in the total design. The boldly decorated front of the building is reminiscent of an impressionist painting with a mosaic of broken ceramic tile (trencadis) that flows from shades of golden orange into greenish blue hues. 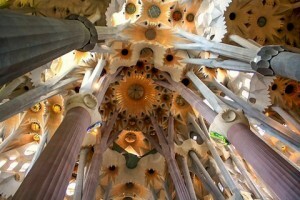 Like many of Gaudi’s structures, the roof is like the arched back of a dragon. The dragon was one of Gaudi’s favorite mythical creatures. It was also a strong nationalist symbol of Catalonia, just as St. George and the Dragon are iconic for the region. St. George was the patron saint of Catalonia. It has been postulated that the rounded roof feature to the left of center, terminating at the top in a turret and cross, represents Saint George’s sword thrust into the dragon’s back. Organic shapes and natu ral elements are the thematic design motif of Casa Batllo. These undulating shapes and forms can be seen throughout the exterior and interior spaces. Highly decorated and colorful—usually by application of trencadis (broken shard mosaics)—not only was this organic styling similar to other Art Nouveau elements, it was based upon plant, mushroom, or even sea life, configurations. The woodwork, shaped windows and even stonework columns in the house were all organically shaped as well. The architect organized the common areas of the house in such a way as to illuminate and ventilate all rooms. This also underscored a fluid connection between the exterior and interior. A mixed-use area in every sense, the ground floor was organized into three zones: access to the residence, access to the shop/retail space and an entrance to the parking area. 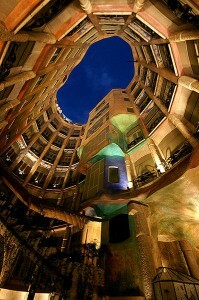 The interior patio including the lift and stairs was inspired by the ocean and Gaudi’s love of the Mediterranean Sea. He used up to five tones of blue tiles of varying glossiness which got lighter as they went down from the skylights. The main floor of the house is a spacious arrangement of rooms that are bright and open. Nature’s curves add to the undulating features that make the space welcoming and functionally brilliant. Each door and window is uniquely shaped. The woodworking and elegant craftsmanship is exquisite. The stair railings, windows, doorways, chairs and tables were particularly elegant. These were enhanced by the use of trencadis on the outside and full tiles in bright colors on interior walls. Particularly stunning is the stairwell/atrium in blue and white tiles. Throughout the house, both inside and out, there is a wonderful chromatic harmony. In the process of this residential restoration, Gaudi enlarged the inner courtyard, changed the first floor dramatically, and added two more stories to the building. These added not only height but greater function to the building, allowing for useable attic spaces for servants quarters and household functions. This service zone allowed for preparation of laundry and hanging out the wash on the roof. The decorative chimneys on the roof act as both air vents and smokestacks. In contrast to the dramatic coloration and richness of the rest of the house, the attic areas, upper and lower, were designed by Gaudi to be purely functional. They are painted a pure white. Far from pure minimalist design, as this is Gaudi’s work, the attic structure is sculptural with catenary arches repeating and defining the spaces. 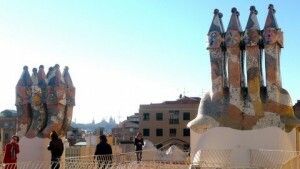 Casa Batllo’s roof and roof terrace have great personality. The architect let his imagination run wild with colors, textures, forms and materials. Set off against the dragon’s back, acting like the edge of the roof, the two stairwells, the four groupings of chimneys and ventilation shafts are enhanced by colorful trencadis that shifts from light to strong tones. It is a roof like no other. Up the street along the Passeig de Gracia is Casa Mila, La Pedrera (The Quarry). This is Gaudi’s last residential and secular project completed before focusing entirely upon his obsessive cathedral project, La Sagrada Familia. As the story goes, Pere Mila was left a bit awestruck after visiting the renovation of Casa Batllo. Josep Batllo was his father’s business partner. Mila decided to commission Antoni Gaudi to build his family’s home. The Mila family would live on the main floor (el principal) and apartments were to be rented on the floors above. In the Fall of 1905, Pere Mila applied for permission to demolish the three story structure that sat on the property where he wanted to build his new residence. 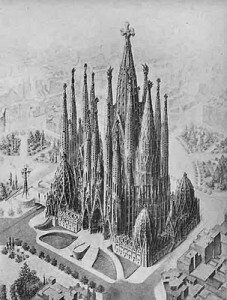 In February of 1906, the architectural plans were submitted to the Barcelona City Council for building permits. A complicated relationship developed between Gaudi and the Mila family. Throughout the design and construction of La Pedrera, there were numerous and often major differences between Gaudi and his clients. The architect went well over budget on several occasions. He also pushed aside City of Barcelona building guidelines to use more than permitted building space restrictions. This led to problems and potential fines from the City Council. The city council eventually acknowledged the exceptional character of La Pedrera in 1909. 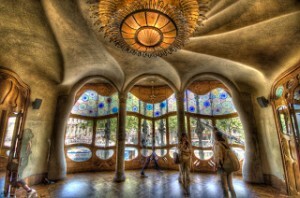 Unhappily, Gaudi and Mila fought over design fees for many years as well. This resulted in a lawsuit before the Barcelona Tribunal Court in 1915, eventually ruling in favor of Gaudi. Mrs. Mila hated Gaudi’s aesthetic, but went along with her husband’s wishes. When he died, she bought furnishings to match her more traditional, formal taste. The imposing curvy structure is like a series of stone waves set one upon another, with large pieces of metal “seaweed” floating at intervals and serving as fantastic balcony railings. Sun and shadows move across the facade rippling and dancing if on a desert or on the sea or in the mountains. On the roof terrace, the chimneys are giant characters in a mythological narrative and symbolic of Gaudi’s referential imagination. Owls and African masks seemed to have been included in the tops of the chimneys. Gaudi distributed the rooms, positioning the bedrooms and living rooms toward the street and service areas closer to the atria. For these two tall spaces, the architect devised an original column and beam structure that allowed the free distribution of space. This method did not have load-bearing walls. Not surprisingly, Casa Mila’s unique boldness of organic shapes aroused a variety of reactions. Many were not positive. It was a structure that, at first, seemed not in harmony with the rest of the boulevard and neighborhood, The Eixample. Serving as the center of upper class and the bourgeoisie, wealthy families commissioned their home design to distinguished architects. These more traditionally crafted buildings created a more homogeneous and consistent urban fabric. La Pedrera’s main entrance leads into a vestibule that has access to apartments. The ground floor was built for businesses and shops. The main floor was the residence of the Mila family. All of the upper floors were and still are rental apartments. 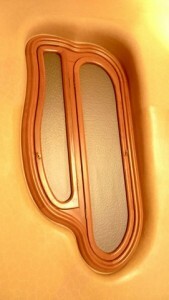 The curvilinear shapes are consistent throughout the structure. The waving form balconies are combined with irregular railings that are bristly and thorny plant-like sculptures. Ahead of its time in many ways, La Pedrera included a garage. Located in the basement, this was one of the first design concessions to the modern era of the automobile in Barcelona. On the building’s top was a communal space for laundry and storing firewood. Because of the architect’s innovative pillar, column and beam framework that sustained all of the buildings weight, the apartments were all open spaces, allowing for room partitioning configurations, individualized by each tenant. This open floor plan predated French architect, Le Corbusier’s Villa Savoye design by more than two decades. 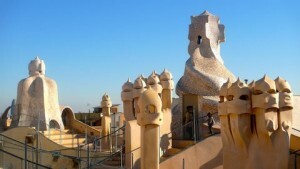 Casa Mila’s chimneys seem to borrow design inspiration mythological creatures in nature and African masks. Photo: Mark Favermann. The large structure is predominantly monochromatic, colored only subtly by the sun movement throughout the day. 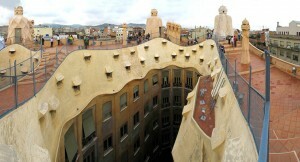 Except for the patios and other interior spaces—and unlike Casa Battlo—there is little color integrated into Casa Mila. 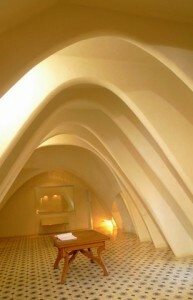 La Pedrera is principally enhanced by Gaudi’s favored tools—form and function, shadow and light. The railings on the building are architectonic sculptural forms, abstractions of vines and other shapes derived from nature. These iron shapes act as a decorative punctuation to the flowing stone facades. These pieces were made from recycled scrap, a combination of sheets, bars screws and other found elements. Casa Batllo and Casa Mila are two very different residential structures. Yet, they share much of the same architectural vocabulary. This is the unique—even rather eccentric—visionary vocabulary of Antoni Gaudi. Each building is a visual narrative drafted by a mystical, nature-loving, piously religious artistic genius. Wonderful article that interested me greatly because I had the pleasure of seeing Gaudi’s Cathedral in Barcelona in 1973. It was memorable even when it was just a shell of what it is now. 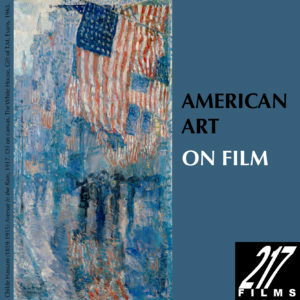 I hope to live (2026) long enough to see it completed. Thanks Mark for the article and please notify me when part II is published. instancia como una decisión personal. sitio y que este tenga relevancia en exactamente las mismas. Arc. Antoni Gaudi (to his blessed memory) is admirable. I admire him for his courage and steadfastness. He believes in himself apart from God almighty. So he won’t give-up his dream, so long as he lives. The Sagrada Familia Structure is really a complex task with different forms and shapes of organic architecture. That must incur a lot of wastages of time, energy, space and funds. Wastages should not be the right word because the aesthetics of the Sagrada as expressed by Gaudi will require patience and most of all on entering the structure no one need to be told; “that this is the house of God.” ….the structure is bound to reduce any one to nothing before God almighty.